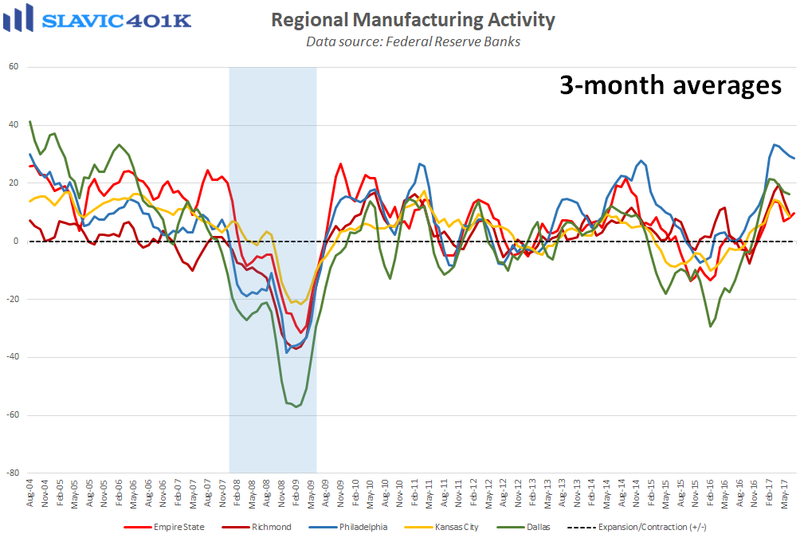 A new report from the Federal Reserve Bank of Philadelphia showed that manufacturing activity in the Mid-Atlantic region of the country cooled this month, as the general business conditions index fell from +27.6 to +19.5. That was the fourth decline in the past five months and worse than economists had expected, although still well above pre-election levels. 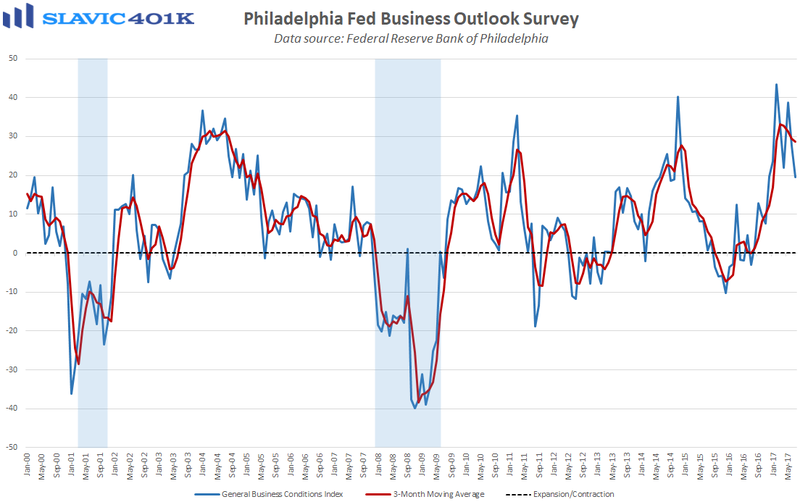 Under the hood, current measures of new orders, shipments, inventories, total employment, and hours worked all deteriorated in July but forward-looking indicators (six months ahead) generally improved, including a jump in capital expenditure plans. Inflation pressures moderated this month but prices paid continued to rise faster than prices received, suggesting further strain on margins. Altogether, this was a mixed report, which is in line with other recent regional manufacturing data and confirms that business managers continue to eagerly await the tax cuts and regulatory reform promised by lawmakers.